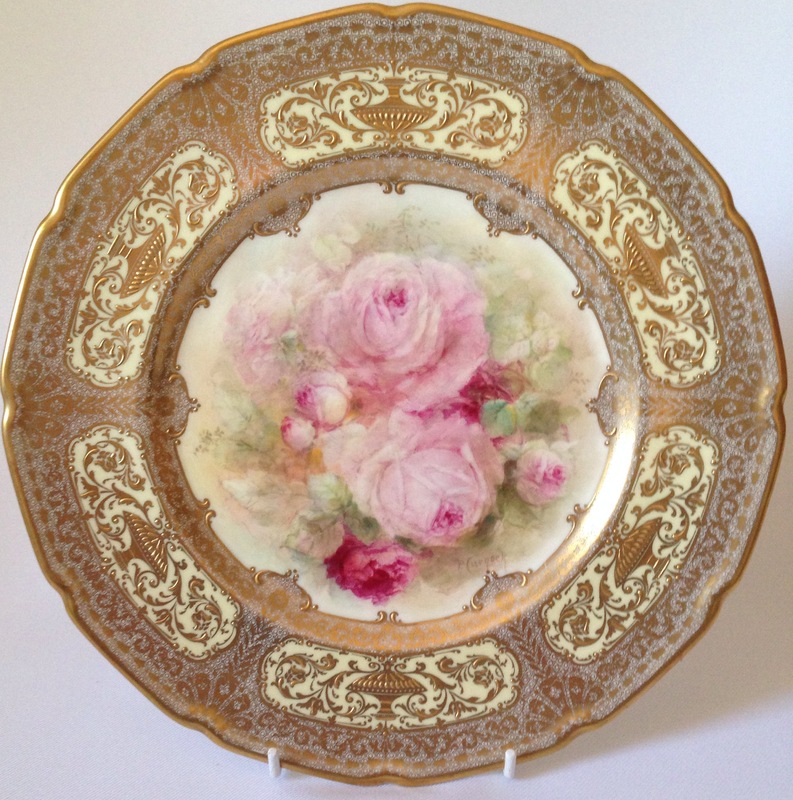 A hand painted plate by Percy Curnock. 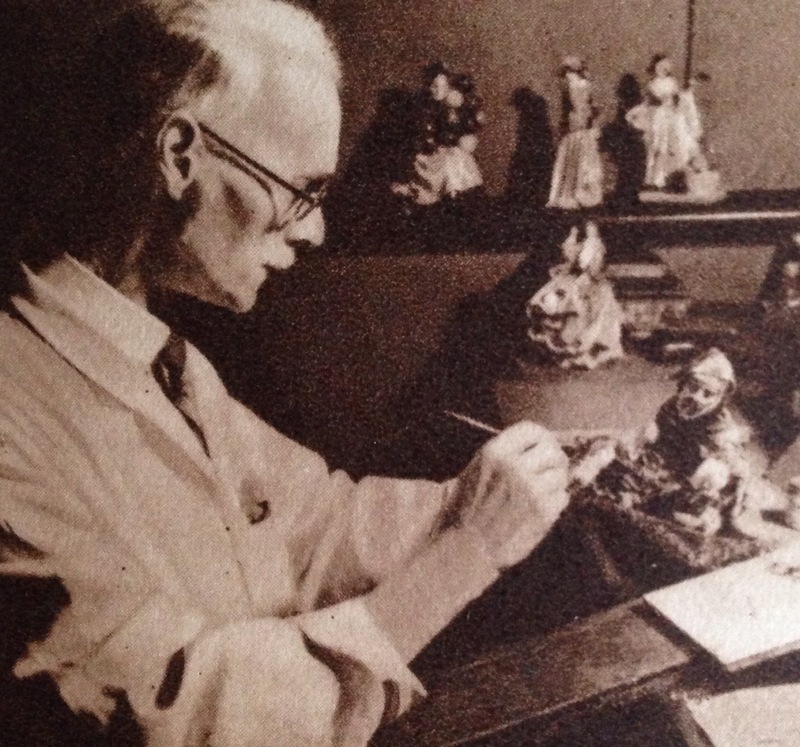 So it was in December 1954 that Doulton lost one of its most prodigious and long serving employees, one Percy Curnock. 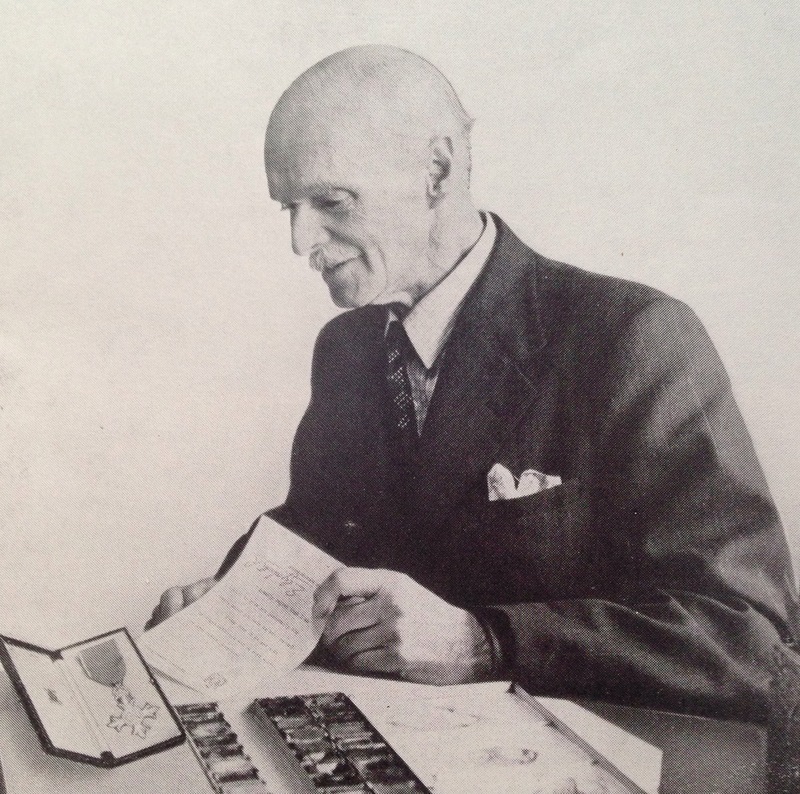 Percy had worked for Doulton for almost 70 years before finally retiring and during that time had witnessed three Royal visits to the Burslem factory. He was, however, known to thousands around the world not just for his hand painted wares that graced famous homes, but also the best selling tableware designs that he created for Doulton, including Passion Flower, Clovelly, Gleneagles, Curnock Rose and of course Glamis Thistle, the last two of which actually carry a fascimilie signature for him – something that had previously not happened at Doulton. 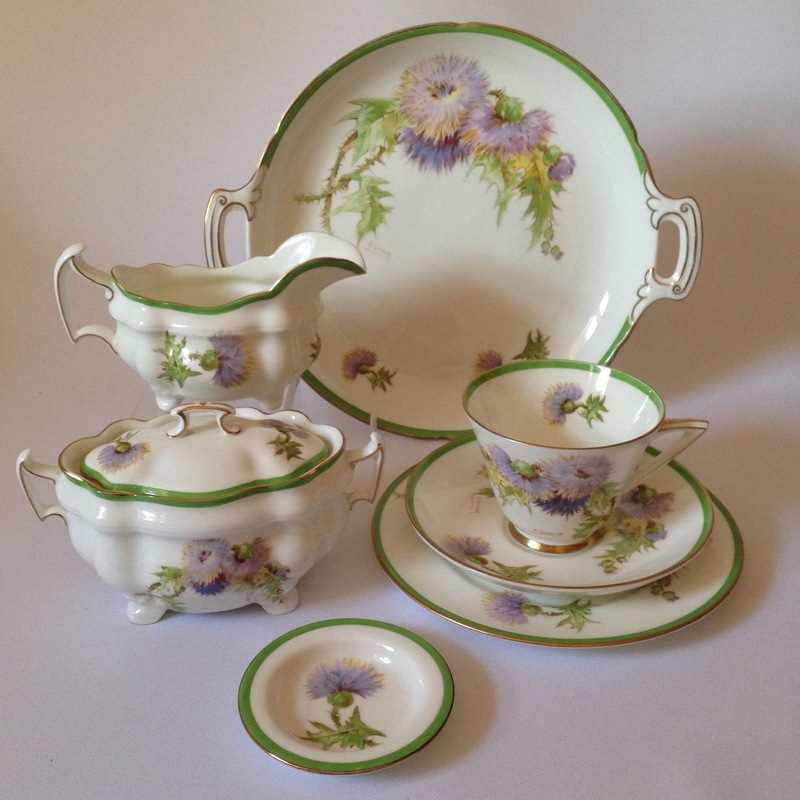 A selection of Glamis Thistle tableware. Interestingly, Percy did not come from a pottery background, but rather his father was a farmer in Warwickshire. He came to the Potteries as a child and at 13 was taken on by Doulton as an apprentice ceramic modeller. Percy studied during his early days at Doulton at the Burslem School of Art and worked under John Slater and Harry Allen. Doulton themselves commented that few artists ‘can have given greater service to a firm or an industry’. Moreover, he actually returned from retirement during WII to work in the decorating department to replace colleagues who had joined the war effort. Percy receiving his M. B. E.
Percy was a floral and scenic painter and regarded as one of the outstanding ceramic artists in the country. Flowers were long a speciality of his and his blooms were remarkably real. 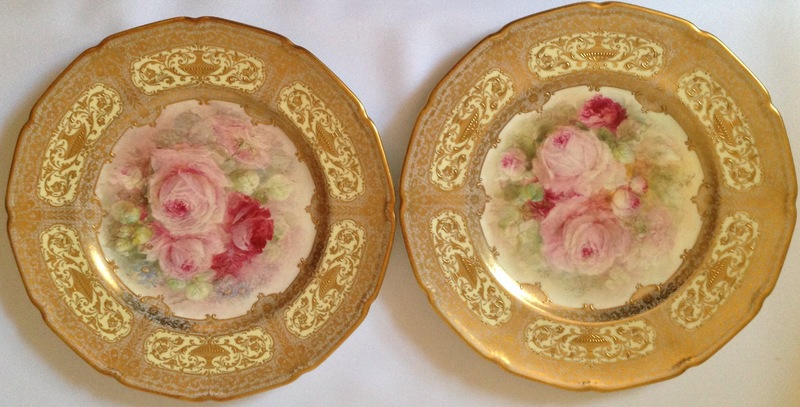 Two of Percy’s plates from the first Doulton museum sale in 2000. In the New Year’s Honours list 1954, he received an M.B.E. and typically he is quoted as saying that it was especially an honour for the firm. It is of interest to note that it was the Queen Mother who awarded him this honour and her family home is of course Glamis Castle, after which the famous tableware pattern was named. 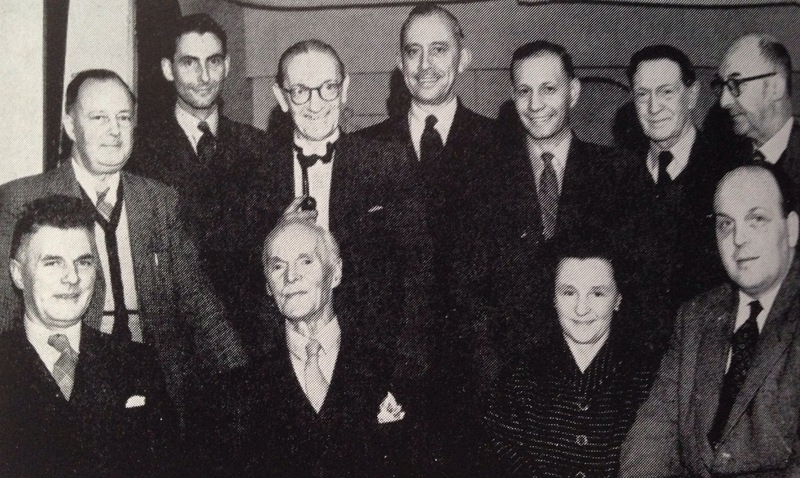 Percy upon his retirement flanked by his son and daughter-in-law, together with J. Warrington works manager on her left and other faces including Reg Brown and William E. Grace amongst others. As did many of Doulton’s artists, Percy would also turn his hand to painting their most popular lines including figures. I wonder if any of you have a PC monogram to the base of any of your figures? Percy in his studio painting The Potter. Hi, Percy Curnock was my great grandfather. Would I be able to get a copy of the photograph with his son and daughter-in-law? His son died not long after the photograph was taken so I didn’t know him but I have such found memories of my grandma.